Canny cruise lines are welcoming families with open arms to ensure they hook the next generation of valued guests – your children. The result is a win-win situation, says Linda Aitchison, mum and Editor of family travel site havealovelytime. “The beauty of a cruise with children is that you can fall asleep having savoured the sites of one magical destination and wake up in another, with no stress — no need to panic about getting from A to B, and no listening to repeated pleadings of ‘are we nearly there yet?’ in the family car. 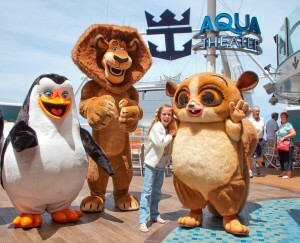 Here, in no particular order, are Cruise International’s Top 10 Cruises for families. (two sharing), including return flights to Fort Lauderdale, Florida, from London. It departs on 26 October. 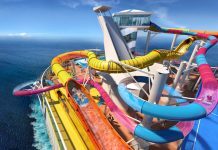 Royal Caribbean International has been flying the family holiday flag for years, and has the zipline, rock climbing walls and on-board surf simulators to prove it. There are high diving acrobatic shows in the AquaTheater, ice skating, a carousel and the chance to meet movie characters such as Shrek. 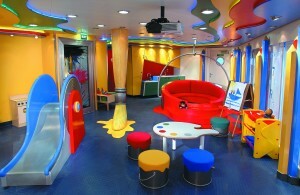 The 5,400-passenger ship has a Youth Zone with free age-group clubs for children from six months to 17, as well as babysitting services. The Oasis of The Seas is sailing from Florida’s Fort Lauderdale to tropical ports in Haiti, Jamaica and Mexico, so children can cool off in the H2O Zone mini water park. (two sharing), including return flights from London. Departs from Barcelona on July 9. Each of Disney Cruise Line’s four ships have a whole deck just for clubs, for children from 12 months to 12 years, 11 to 13 and 14 to 17 (with lots of cool space for teens). There are family-sized staterooms with baths, complimentary Wave Phones so you can all keep in touch on board, free soft drinks all day and night, and even rotational dining so everybody can visit the three themed restaurants and still keep their waiter. As well as a kids-only pool and family pool there’s the AquaDuck water coaster, plus fireworks for the Pirates In The Caribbean celebration. And the 2,700-passenger Disney Magic is back in Barcelona for four to 12-night Mediterranean cruises next summer, the perfect opportunity to introduce children to history and culture in Nice, Rome and Naples. *An 11-night Canary Islands cruise on Crown Princess (princess.com; 0843 373 0333) departs from Southampton on 1 June, costing from £899 per adult, £450 per child. 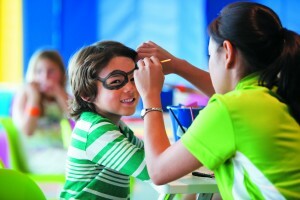 Most of Princess Cruises’s large fleet have innovative programmes – not only are there free clubs for three to 17-year-olds, split into three age groups, they also have junior enrichment programmes. 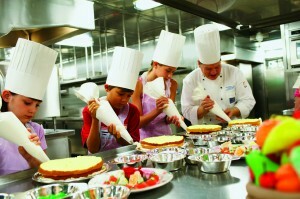 The California Science Centre provides ‘edutainment’ lessons in subjects such as coral reef studies, while pre-teens can sign up for the Chef at Sea programme with hands-on cookery lessons in the ships’ galleys to make pizza and sushi rolls. The older children get lectures on life lessons, relationships and fashion. There are even excursions especially for children: the Princess Adventures Ashore team takes youngsters to areas on the company’s private Princess Cays beach in the Bahamas. 0843 374 2300) costs from £1,868 per adult, £768.39 per child, including return flights from London. Holland America Line’s newest ships, the 2,106-passenger Nieuw Amsterdam and 2,104-passenger Eurodam, are ideal for families. Both have a free Club HAL for children aged three to 12 with arts and crafts plus camp-out night, candy bar bingo, pyjama parties and more. Teenagers from 13 to 17 have a New York loft-style club equipped with sofas and games, where they can join in dance and sports or watch movies and have hot tub parties. There are also events such as Family Olympics so parents can join in. Paid-for babysitting is available after 10pm. HAL is known for its excellent food, and children’s choices are available. Noddy and Mr Bump entertain children on P&O Cruises’ family-friendly Ventura, where children’s activities include cookery classes and mini Olympics as well as organised games, pool parties and talent shows. The free Reef kids’ club has sections for two to fours, five to eights, nine to 12s and 13 to 17-year-olds with daily activities so parents can take a break. There’s a children’s dip pool outside their club area and paid-for trapeze and tightrope walking workshops plus bungee trampoline. 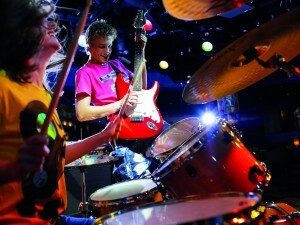 Teenagers can join the Rock School, and there’s a special play area for under-twos which doubles as a night nursery, as well as four pools – one with a retractable roof. And all children love Frankie’s Diner for its pizzas and ice cream. Ventura is in the Caribbean this winter, but sails from Southampton in the summer – as do the family-friendly sister ships Azura and Aurora. costs from £396.71pp cruise only. 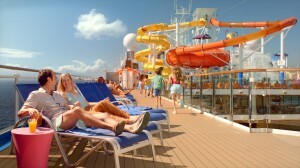 Carnival’s 23 ships are dedicated to fun and its newest, Carnival Breeze, is best for families. 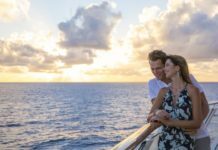 Launched last June and based in Miami for Caribbean and Bahamas cruises, it has so many children-friendly features they may never want to get off. The free Camp Carnival programme covers three groups for organised play plus Wii and Play Station. It stays open until 10pm for slumber parties, and babysitting is available. 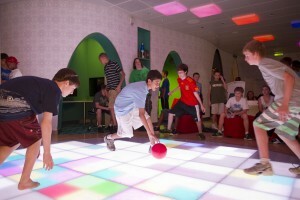 Tweens (12 to 14), have a club with Internet stations, while 15 to 17s have their own night club-style space. This 3,690-passenger ship has family-sized staterooms plus activities to enjoy together, such as the Waterworks Aqua Park, SportsSquare miniature golf, SkyCourse rope bridges and the Interactive Thrill Theater. 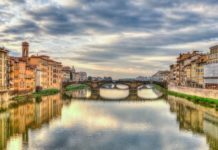 cruise on Epic (ncl.co.uk; 0845 201 8900) costs from £1,134pp (two sharing), including return fares to Spain from the UK. Departs on 7 July. When Norwegian Breakaway launches in April it will feature the free new youth programme for children aged six months to 17 years introduced by Norwegian Cruise Line on its 13 other ships in 2012. 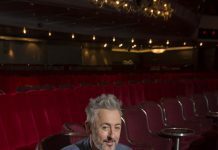 The Cirque du Jour will teach juggling, spinning and tumbling to youngsters up to 12 so they can join in a family circus show, while teenagers can take part in sports tournaments or chill out in the teen lounge with PlayStation3. Paid-for group babysitting in the children’s clubs is also available. The Nickelodeon characters SpongeBob Squarepants and Dora the Explorer are on board 4,100-passenger Norwegian Epic, where you can have breakfast with SpongeBob, get slimed by Team Nick’s Splash Mobs or just have fun playing 10-pin bowling on the Wii screen. Epic’s Aqua Park with water slides, three pools including one for children and five hot tubs is another winner. port taxes per child under 18 (four sharing). Children under 18 sharing a cabin with their parents cruise for free with MSC Cruises, although flights, transfers and port taxes must be paid for – which makes its Southampton-based MSC Opera cruises all the more attractive. MSC’s children’s clubs are also free, offering supervised activities for three to six-year-olds, including sports tournaments and pizza parties for seven to 12s, and sports or dance classes for teenagers, plus karaoke parties. All MSC ships have children-only pools and play areas, and flagships MSC Fantasia and MSC Splendida have a disco just for teenagers. 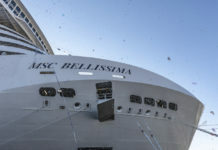 MSC’s 13 ships have wifi internet connections plus the traditional nightly shows, a spa and gym. 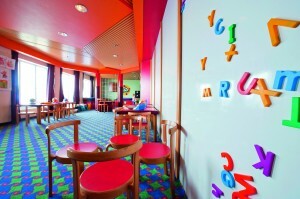 MSC Opera also offers mini golf, shuffleboards and a power walking track. from Stansted. Departs on 3 June. Tenerife’s Rancho Texas conservation zoo and camel trekking on Gran Canaria. 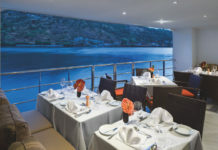 This summer the Thomson Spirit has UK departures from Harwich and Newcastle for hassle-free holidays, and the Dream and Celebration have had major refurbishments to include new interiors and extras such as iPod docking stations and flatscreen TVs. 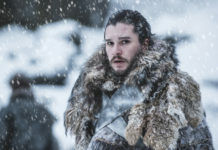 * An eight-night Norwegian Fjords cruise on Celebrity Eclipse from Southampton, costs from £939 per adult and £301 per child (four sharing). Departs on 31 August. Celebrity offers free clubs for all ages: Toddler Time (under threes), Ship Mates (3-5), Celebrity Cadets (6-8), Ensigns (9-11) and Admiral Teens (12-17). They start at 9am (or half an hour before arriving in port if there are early excursions), allowing youngsters to stay on board and play. The only rule is that parents must stay if their children aren’t potty trained. The children’s area, Fun Factory, for ages 3-11, is open until 10pm. 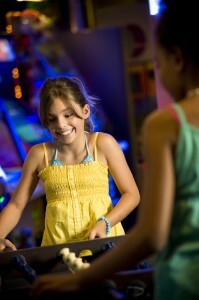 As well as computer games, there are crafts, music, karaoke, treasure hunts, theme parties, movies and more. Teenagers get their own (supervised) hangout and, for $6 an hour, children aged 3-11 can take part in the Afternoon Party (noon-2pm on port days) and the Slumber Party (10pm-1am). There’s also in-room evening babysitting.